It’s never too late to appreciate her journey! 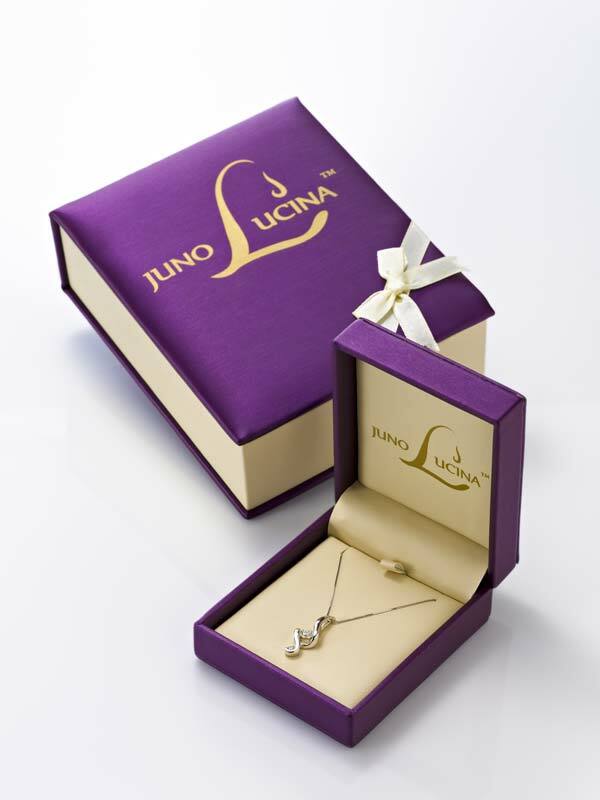 This mother’s day, commemorate the most important milestone in a woman’s life with a Juno Lucina piece. Give the love of your life a Juno Lucina Push present! A push gift or push present is a meaningful gift given by the significant other or close family members to a woman who has just given birth or is about to. It is a great way to show a deep appreciation for a woman’s experience during the pregnancy. In addition, this gift will show your gratitude for the child she blessed you with. Juno Lucina makes it memorable, special, and emotional. Giving birth is one of the most important moments in a woman’s life. Juno Lucina, the Roman goddess of childbirth, has been a symbol of love and appreciation of a new mother for 1,000 years. Show your gratitude and deep appreciation for her journey through pregnancy with a Juno Lucina push present. Each piece comes in a beautiful plush box with a special message for the mother. See them in stores or online here. This entry was posted in Jewelry, Jewelry and Holidays, Jewelry News, Jewelry Trends and tagged jewelry for moms, jewelry in columbia sc, jewelry warehouse, juno lucina, mother's day gifs, push present. Bookmark the permalink.